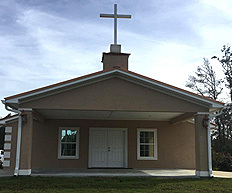 Coastal Baptist Church would like to welcome you to our website and hopefully to our home church in Brunswick. God has truly blessed our ministry since we formed this congregation in 2007. On July 4th weekend, a group of wonderful Christians came together to build a church that would be based on the true Gospel of Jesus Christ. We will not accept any other gospel and gladly preach the Blood of Jesus. We believe that church should be a joy and hope to share the true joy of the world with you very soon. © 2015 - 2019 Coastal Baptist Church - All Rights Reserved.